Galapagos’ decision to relocate to Detroit puts an exclamation point on the degree to which arts and culture have become an important driver of the city’s revitalization. 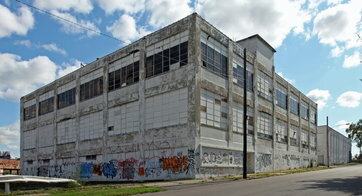 Detroit’s burgeoning reputation as a haven for young urban artists got a boost Monday with news that Brooklyn-based Galapagos Art Space will move to Corktown and Highland Park in 2016. Founded in 1995 and often cited as an anchor for Brooklyn’s revitalization, the multi-purpose arts center is closing in New York this month. “We were priced out of New York,” Robert Elmes told the Free Press on Monday. 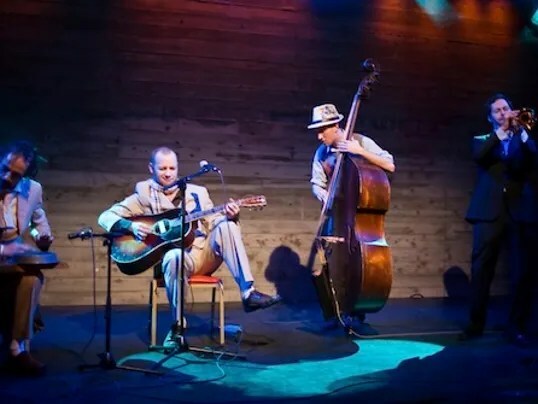 Elmes, the founder and executive director of Galapagos, said that young artists unable to afford New York prices are moving to places like Portland, Ore.; Austin, Texas, or Minneapolis. Yet the nation continues to need a “national mixing chamber” for young artists and Detroit appears to be stepping up to that role, he said. Unlike a nonprofit museum or theater, Galapagos is a for-profit arts space presenting a variety of pop music, theater, dance, indie classical music, cabaret, burlesque, lectures, TED talks and more. It also produces its own programming such as a weekly Cirque du Soleil-styled series with jugglers, aerialists and other circus performers called Floating Kabarette. Galapagos plans to house a variety of artists and gallery spaces as well as meeting rooms and performance spaces. 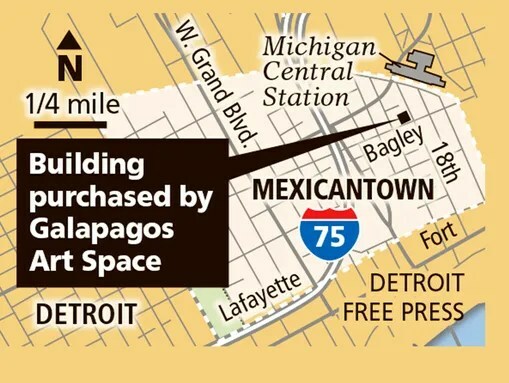 In years to come, Galapagos will build out eight other structures purchased, including the former Apac Paper warehouse at 1800 18th St. in Corktown. Galapagos plans to host a Detroit Biennial, a juried art show showcasing the best of homegrown contemporary art, at the 18th Street location starting in 2016. Eventually, he would like to develop it for residential housing, but will need to raise money to do that in the coming years. 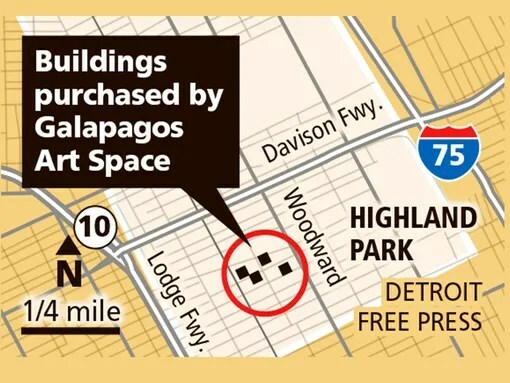 Besides the Corktown building and the former school and related smaller buildings in Highland Park, the other buildings purchased by Galapagos in Highland Park are: another school property at 60 Cortland, and structures at 12345 Third St. and 224 Highland. Elmes said he has been visiting Detroit for more than two years to assess the arts scene here and to scout properties. On one front are the growing number of artists and young creatives moving into the city. On another front are aesthetic-minded entrepreneurs and incubators such as Ponyride in Corktown, which provides inexpensive space for start-ups and artists. Then there are new performance spaces and galleries, among them Trinosophes near Eastern Market and the N’Namdi Center for Contemporary Art in Midtown. Observers like Museum of Contemporary Art Detroit executive director Elysia Borowy-Reeder said Galapagos, because of its size and impressive track record in Brooklyn, has the potential to shine a bright spotlight on Detroit as a center for artistic experimentation. “I’m thrilled that Galapagos is moving here because the more art and culture in the city the more Detroit will become known as a culturally rich city and the more that will help MOCAD,” said Borowy-Reeder. Others in the Detroit arts community, however, are casting a more wary eye on Galapagos. Oliver Ragsdale, president of the Carr Center — a home to a variety of arts and education programs in downtown Detroit — sent out an e-mail to supporters Monday night noting that the Carr Center has already been doing for years nearly everything Galapagos wants to do in the city, with a particular emphasis on African and African-American cultural traditions. “Let’s not allow these new urban pioneers to come in and usurp what the natives have been working hard to do for years,” Ragsdale wrote in a fund-raising appeal to garner support for the center’s $15-million renovation plan. Joel Peterson, co-owner-director of Trinosophes, said he believed there was plenty of room for a player like Galapagos in Detroit and that he did not view it as competition. Peterson said he was more concerned that the same gentrification and rising real estate prices that forced its move from New York might repeat itself in Detroit. “I worry more about residents getting priced out of here, because costs don’t need to rise very much for that to happen,” he said. 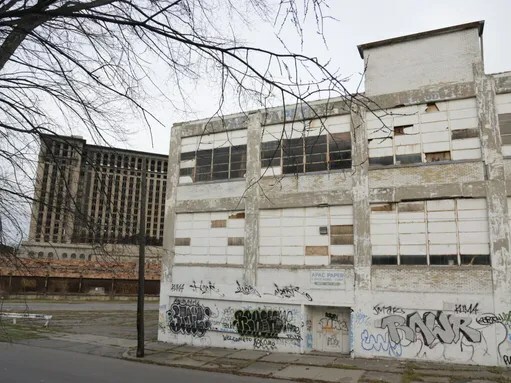 This 125,000-square-foot building at 1800 18th St. in Corktown will house part of Galapagos Art Space when Brooklyn-based artist Robert Elmes moves his company to metro Detroit next year. Jimmy McMillan’s “the rent is too damn high” aphorism that made him a bit of a national celebrity during the 2010 New York City mayoral election resonates with Robert Elmes. So Elmes, the founder and executive director Galapagos Art Space in Brooklyn, is packing up his company — and, in time, his family — to relocate Galapagos in about 600,000 square feet of space scattered throughout nine buildings in Corktown and Highland Park. The space will be used for things like art shows, theater, dance, film, dance and science productions. “Young artists are bouncing away from the idea of going to New York because the costs here are so dramatic,” Elmes said Monday. “Detroit is a city that wants to reinvent itself while holding onto its past. It has a ballast of history and the opportunity to write its own future. Galapagos, which Elmes said has $2 million per year in annual revenue, plans an ambitious — and expensive — renovation project over the next decade for the buildings he purchased for a song over the last year or so. Among them are a 125,000-square-foot building at 1800 18th St. in Corktown for $500,000 from Eighteenth Street Investment Co. and five buildings totaling 300,000 square feet for $18,000 from the Highland Park School District, according to CoStar Group Inc., a Washington, D.C.-based real estate information service. Elmes and top Galapagos management like Finance Director Moti Nahmany and Technical Director Kris Anton expect renovations — including the construction of a 10,000-square-foot indoor lake in one of the buildings — to cost $100 to $150 per square foot, or $60 million to $90 million. Originally a sculptor, Elmes said he is confident that as the real estate appreciates in value following renovations, as the areas around Galapagos-owned buildings become destinations for artists and other cultural organizations, and as Galapagos expands into other revenue-generating enterprises, the total build-out cost won’t seem as out of reach as it did to me when he first talked about the price tag. This building at 109 Glendale in Highland Park will house part of Galapagos Art Space when Brooklyn-based artist Robert Elmes moves his company to metro Detroit next year. “The arts have suffered far too long from the tin cup mentality of looking for grants and assistance where they should be looking for a funding model that’s sustainable,” he said, noting that Galapagos doesn’t accept government funding or grants for its operations costs. Galapagos first opened in Williamsburg, Brooklyn, in 1995 and since then has put on nearly 7,500 programs and attracted more than 1 million audience members. Elmes said Galapagos, expected to open in 12 to 16 months, has eight full-time, about 40 part-time and about 30 artists on its payroll in New York City. Contractors for the project have not yet been selected. Art World Abstracts: Galapagos Art Space Goes to Detroit, And More! Simply put, New York City has become too expensive to continue incubating young artists. The white-hot real estate market burning through affordable cultural habit is no longer a crisis, it’s a conclusion. You can’t paint at night in your kitchen and hope to be a good artist. It doesn’t work that way. The canaries in New York City’s real estate gold mine and the basis population of its creative ecosystem – its young artists and thinkers – are no longer talking about the next show they hope to land. They’re talking about the next city they can land in once their current lease runs out. After nearly 7,500 programs and just over 1,000,000 audience members through our doors, Galapagos Art Space is moving to Detroit. If the core competitiveness of the big apple is culture, but actually being an artist in New York City costs you a full time career in another industry, then the best and brightest – the ones our meritocracy would obviously miss the most – won’t allow their work to suffer just to be among our tall buildings. Young artists around the country are giving up on New York City. Instead, they’re bouncing off the perceived costs of living here and traveling only as far as the urban density of their regional capitals. Cities like Portland, Seattle, Minneapolis, Chapel Hill, Austin, Nashville and Philadelphia – all great cities in their own right – are not the national mixing chamber that New York City has been. To flourish, a well functioning creative ecosystem needs three things in abundance; time, space and people. Arguably, New York City has people but they no longer have time or space. Detroit has time and space and is gaining its critical third component – artists – at an astonishing rate. ** The top two floors of a very normal building in downtown Brooklyn are for sale for one hundred million dollars – yes, one hundred million dollars. A combination of untenable NYC rents and Detroit’s somewhat under-the-radar but vibrant art scene has lured another impresario and institution to Detroit. Robert Elmes of the renowned Galapagos Art Space in Brooklyn is making the move having boldly acquired the large space behind the Michigan Central Depot [between 18th and 19th and just north of Mexican Village] and the old Highland Park High School on Glendale between 2nd and 3rd. Below Elmes [left] with former Michigan Building owner Anthony Pieroni surveying Highland Park High School. Click image for larger view. Over the past year, Mr. Elmes and his wife, Philippa Kaye, have bought nine buildings totaling about 600,000 square feet in that city’s Corktown neighborhood and in neighboring Highland Park, paying what he described as the price of “a small apartment in New York City” for the properties. Among the buildings is “an old power plant that looks like a little Tate Modern,” Mr. Elmes said. The centerpiece of the new Galapagos will be a 10,000-square-foot lake, he said, and he is planning about 16 months of renovation work before opening. Preliminary plans call for converting the spaces into artist resident/studio spaces with performance and exhibition spaces. Galapagos Art Space would have celebrated its 20-year anniversary in New York City next year, but the venue won’t make it that long—it’s set to close up shop later this month for a massive move to Detroit. Cause of relocation: rising rents. In Michigan, they hope to thrive—”to go back to the early years of our venue and to recreate the success that we had and the impact that we had on a growing community”—and by 2016 want to host a Detroit Biennial. The last night of programming in DUMBO is December 18th. We’ve reached out to both Elmes and Two Trees (who own the building), and will update if we receive further comment on the move, and the future of the Brooklyn space, which is right next to the Empire Stores development. 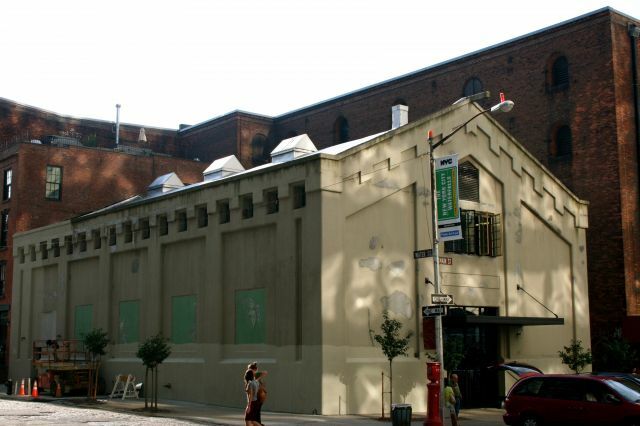 The Galapagos Art Space, a performance center and cultural staple in Brooklyn for nearly 20 years, will close this month, another casualty of rising rental prices that its founder says are making it difficult for independent arts organizations to survive in New York. Although the last night of programming is likely to be Dec. 18, the center will have a second life — more than 600 miles away, in Detroit. Over the past year, Mr. Elmes and his wife, Philippa Kaye, have bought nine buildings totaling about 600,000 square feet in that city’s Corktown neighborhood and in neighboring Highland Park, paying what he described as the price of “a small apartment in New York City” for the properties. Among the buildings is “an old power plant that looks like a little Tate Modern,” Mr. Elmes said. The centerpiece of the new Galapagos will be a 10,000-square-foot lake, he said, and he is planning about 16 months of renovation work before opening. 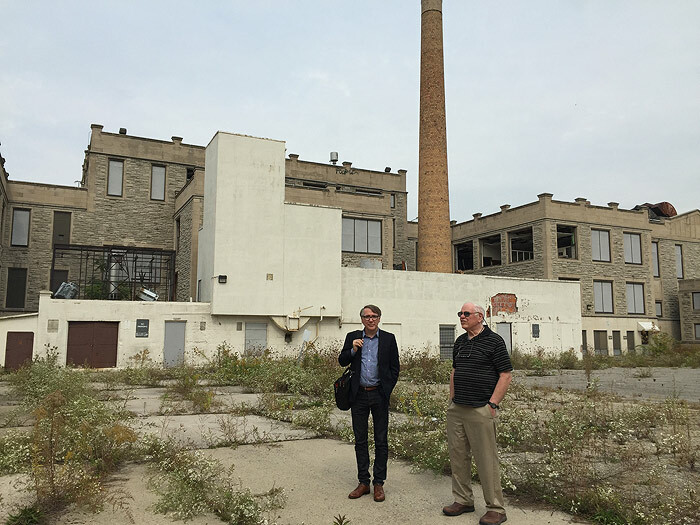 Michigan’s governor, Rick Snyder; the state’s Economic Development Corporation; and the Detroit Economic Growth Corporation have been supportive of the project, Mr. Elmes said, adding that Galapagos is planning to start a Detroit Biennial in 2016. During its time in Brooklyn, Galapagos produced more than 7,500 events that drew a total of more than a million people, Mr. Elmes said. Those events included musical performances, burlesque, films, variety shows, performance art and visual art. There was a series called “Nerd Night” with science lectures and beer, and another called the “Floating Kabarette,” a weekly circus that included aerialists, jugglers and contortionists. The venue has hosted a lavish costume ball inspired by the novel “Alice in Wonderland” and a fund-raiser for a nomadic bookmobile associated with an underground publisher called Autonomedia. From the beginning, Galapagos’s mission has been to provide a home to nurture younger artists, Mr. Elmes said. But rising costs in New York meant it was having a hard time making ends meet, and many emerging artists that Galapagos featured were beginning to move elsewhere. One of the places where “young artists and thinkers” appeared to be gravitating, he said, was Detroit. 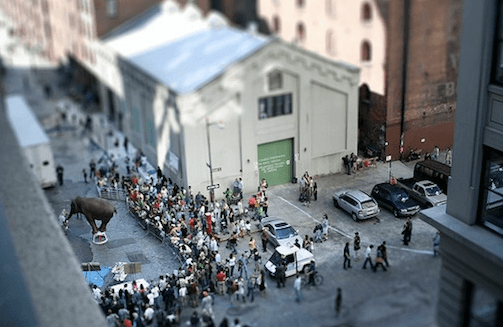 After almost twenty years in Brooklyn‚ Galapagos Art Space will be vacating its DUMBO location (the cultural center started out in Williamsburg before moving to Main Street in 2007) and relocating to Detroit due to… can you guess? Does it, you wonder, have anything to do with the more advantageous weather of the Midwest? Is it because the people who work there just got sick and tired of the lack of lunch options in DUMBO? Or is it because the rent got so astronomically high that the owners of Galapagos determined that “New York City has become too expensive to continue incubating young artists. The white-hot real estate market burning through affordable cultural habit is no longer a crisis, it’s a conclusion?” Ding ding ding. That’s it! The right answer is that New York is losing a cultural institution due to its increasingly unaffordable landscape. What do you win for getting the answer right? Well, that’s the twist! You win nothing. In fact, we all lose. Happy Monday, everyone. 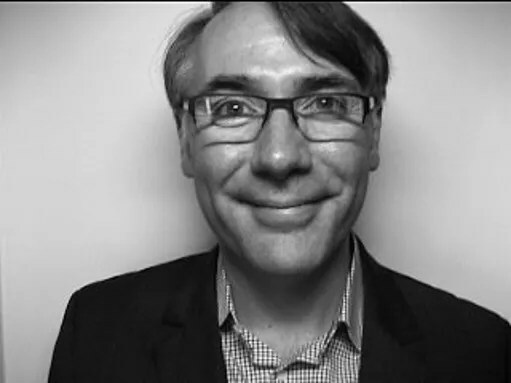 Robert Elmes, the executive director of Galapagos, cites that beyond the expenses it takes to run an art space in New York City, the main reason that he wants to relocate is because New York is no longer a place that artists can afford to live: “You can’t paint at night in your kitchen and hope to be a good artist. It doesn’t work that way.” Elmes and his wife, Philippa Kaye, have recently “bought nine buildings totaling about 600,000 square feet in [Detroit]‘s Corktown neighborhood and in neighboring Highland Park, paying what he described as the price of ‘a small apartment in New York City’ for the properties.” The couple think that Detroit is set to become the new epicenter for all young and creative people who have lately been drawn to the city because of its incredibly cheap cost of living.